WildmanSteve Radio - It's All About The Music! I am thrilled to announce that I am forming a new BLUES BAND, in which I will be playing DRUMS again! Coming soon, with a phenomenal guitarist who spent 6+ years as Francine Reed's guitarist and Music Director! 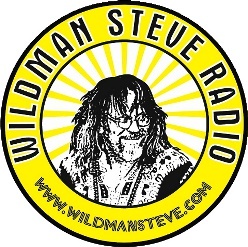 It is with a heavy heart that I announce that WildmanSteve Radio will discontinue broadcasting as of midnight, May 1, 2019. There are a myriad of reasons for this painful decision, which I will not go into, but the worst aspect of this decision is you, the listener, who I refer to as "constant listeners." I appreciate you more than you can ever know. It is much like the time, nearly two decades ago, I had to make the difficult decision to close my record store. I felt a loyalty to my "constant customers," as I do to you, and I hate that I must discontinue. As I have learned in the past, the music industry is in a constant flux of change, and I have managed so far to change with it. In keeping with that tradition, and as a slight consolation, I will soon be launching a podcast that will begin as a weekly show and eventually grow to two shows per week. 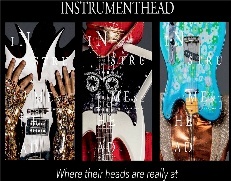 They will feature artists you should know about in interview and, whenever possible, performing live in my studio. 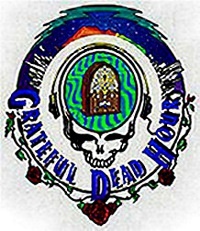 I will also occasionally air archive performances from the plethora of great artists that have graced our studios over the nearly 12 years of WildmanSteve Radio's operation. I will let you know when I launch the podcast. I'm going to take a month or so off to prepare for this next phase of WildmanSteve Radio. Thank you all for your support, your listenership, and your friendship. April will be a fun month of special shows, I guarantee lots of surprises! And once again, my deepest and most sincere thanks for all these years of musical fun.